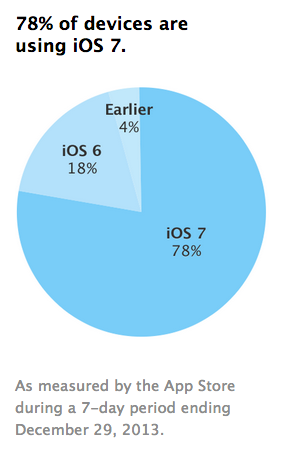 Apple has revealed iOS 7 adoption has reached 78 percent, based on an updated chart on its Apple Store Distribution page. This measurement is based on a 7-day period ending December 29, 2013. The adoption rate is up 4 percent from 74 percent which was reported on December 1. When iOS 7 was first released our unscientific poll noted 58.7% of you loved the new design, 13.9% hated it, 7.3% had not updated yet and 20% said to ask back in a week. To put things into perspective, the latest version of Android KitKat 4.4 is running on 1.1 percent of Android devices, according to Google’s last official developer statistics released on December 2. 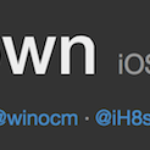 Let us know below how you like iOS 7 now, approximately 3 months in.